Update: One lane remains closed on the A494 westbound at Saughall following an earlier collision. 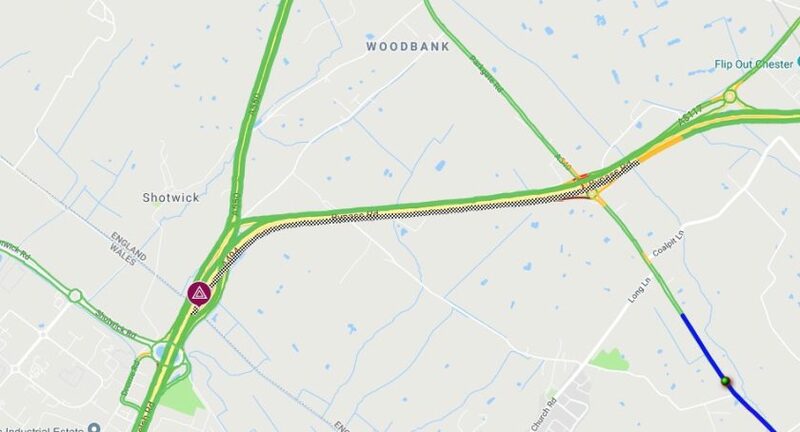 Previous report: A section of the A494 heading into Deeside is currently closed due to a collision. The incident which was first reported at 11.27am appears to be on the Cheshire side of the border, emergency services including two fire appliances are at the scene.